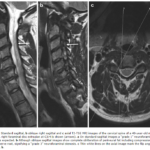 Here is a video and FULL PAPER on a new view to maybe ask for when ordering a cervical MRI when the patient has radiculopathy. I already called my local MRI center and after I sent them this link, they agreed to start doing them. I am also adding in my videos a section on "How to implement in your practice". Meaning, I will show you how I use the information on this site to educate my patients as well as other providers and attorneys on what I do and to help patients. This paper looked at . . .